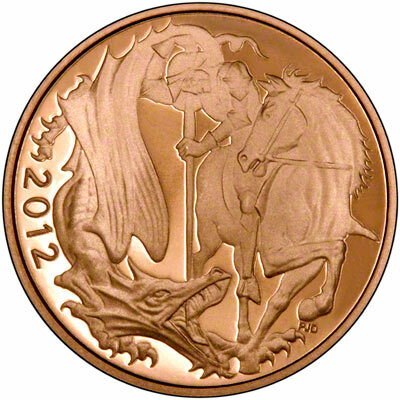 The new reverse by Paul Day features a new interpretation of St. George and the Dragon - so, similarly to the 2005 design people are bound to either love it or hate it. 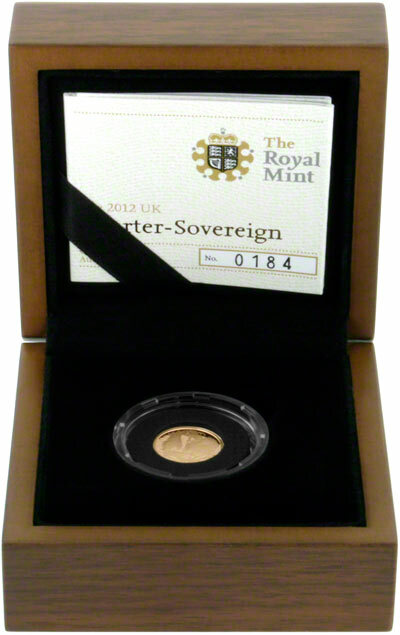 We are expecting our first delivery of the 2012 quarter sovereigns in stock early November 2011. We received our first delivery of the proof version on the 2nd November 2011. 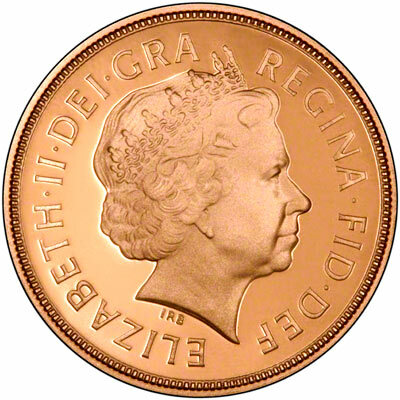 The issue limit of the 2012 gold proof quarter sovereign is 6,500. Please see our 2012 British Gold 5 Coin Sovereign Proof Sets for further news. Unfortunately the Royal Mint have decided not to sell the uncirculated quarter sovereigns to the the trade this year so we will not be able to supply them until they come in via the secondary market.